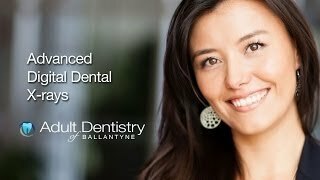 Dental X-rays are one of the most basic and most crucial tools Adult Dentistry of Ballantyne employs to keep patients’ mouths healthy. While many dental issues are visible within the mouth, the underlying structures that support the teeth and gums are susceptible to a number of problems that can’t be easily seen. For this reason, Adult Dentistry exclusively uses digital X-ray technology to obtain the safest, most detailed picture of your entire mouth. Digital X-rays reveal much more than traditional X-rays on film. 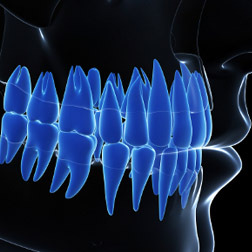 Digital X-ray technology produces the safest, most detailed images of one’s entire mouth, including the underlying structures that support the teeth and gums. With Digital X-rays, images can be sharpened, altered or zoomed in on for extreme close-ups. Digital X-rays expose patients to as much as 90 percent less radiation than conventional X-rays. Digital X-rays do not use chemicals to fix images on film so they are more environmentally friendly. Digital dental X-rays boast many improvements over traditional X-rays which were used for decades in all fields of medicine. First, digital technology makes it possible to obtain a highly detailed image of the underlying tooth structures. With digital X-rays, Dr. Robert Harrell can not only take a higher-quality image, he can use computer software to sharpen, alter or zoom in and out from the image. Digital X-rays are far more advanced in their ability to provide detailed images of small spaces, such as the canals and roots of the teeth. 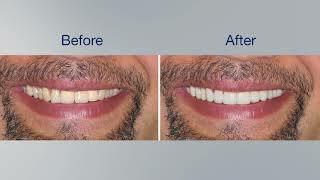 With this technology, Dr. Harrell is better able to diagnose and treat a wide range of dental health issues. Dental X-rays also expose patients to far less radiation — as much as 90% less than conventional X-rays. To some extent, digital X-rays are even more environmentally friendly, as they do not use chemicals to fix images on film like traditional X-rays. With the aid of digital X-rays, Dr. Harrell can make the most accurate diagnosis of your dental issues, and prescribe a safe and effective treatment plan that will have you smiling with pride. Make an appointment and let’s see what’s really going on in your mouth.